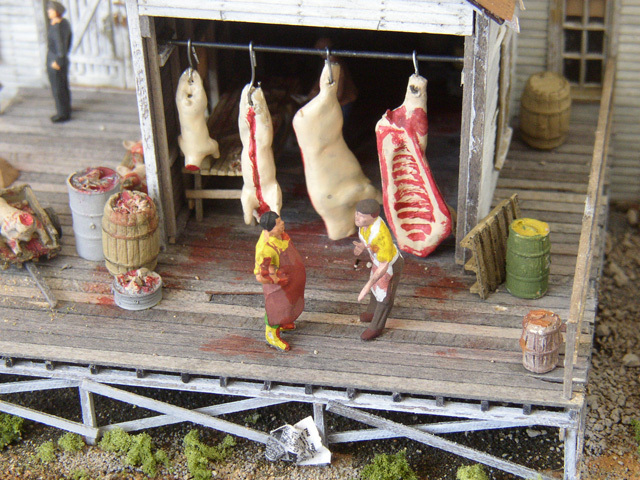 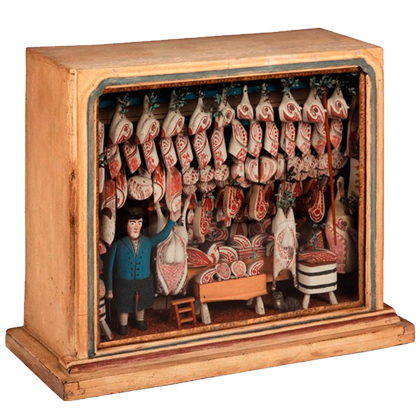 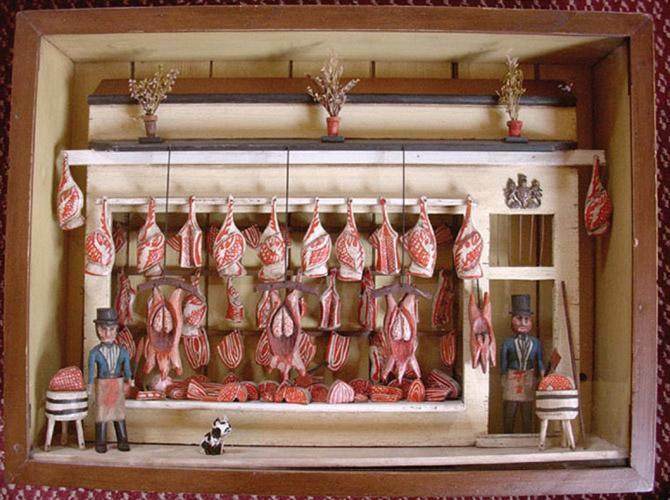 Who would have thought butcher shops would be a popular concept for diorama makers? I saw the above dioramas in one of daily inspirations on Hollister Hovey. 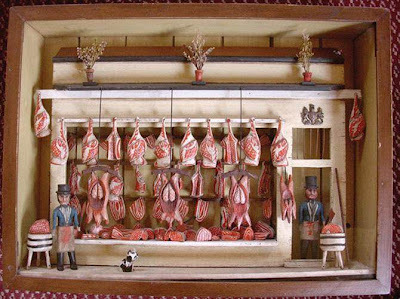 Then I googled "diorama + butcher" to see if I could get better res images anywhere and came across the two scenes below, as well as several other butcher dioramas. 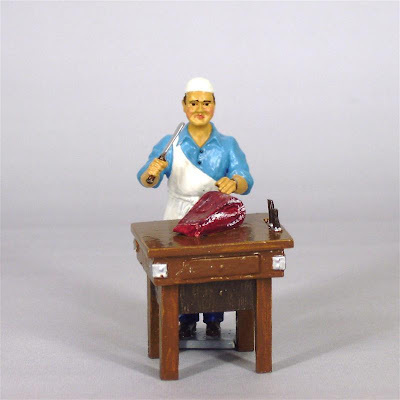 Today the butchers rule this blog!